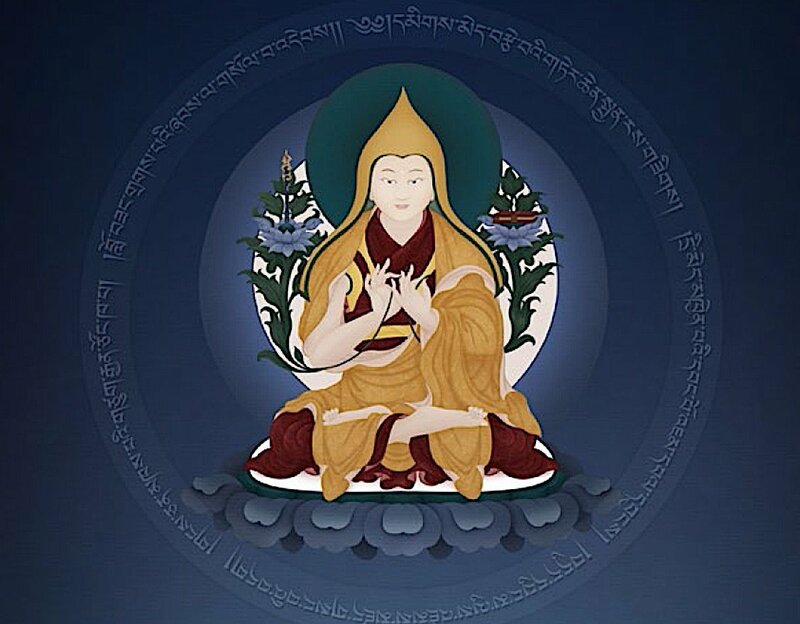 Drawing on many decades of teaching experience in the west, he distils volumes of knowledge on Mahamudra — the most advanced and significant teachings in Vajrayana — into a concise yet comprehensive 300 pages. There are extensive how-tos and commentaries in this ultimately very practical book, especially the chapters on Samataha and Vipassana meditation. Rinpoche is well-known for the clarity of his in-person teachings on these important methods, and he brings that practicality. Reading this book, has the “flavor” of receiving a personal teaching from a meditation master. 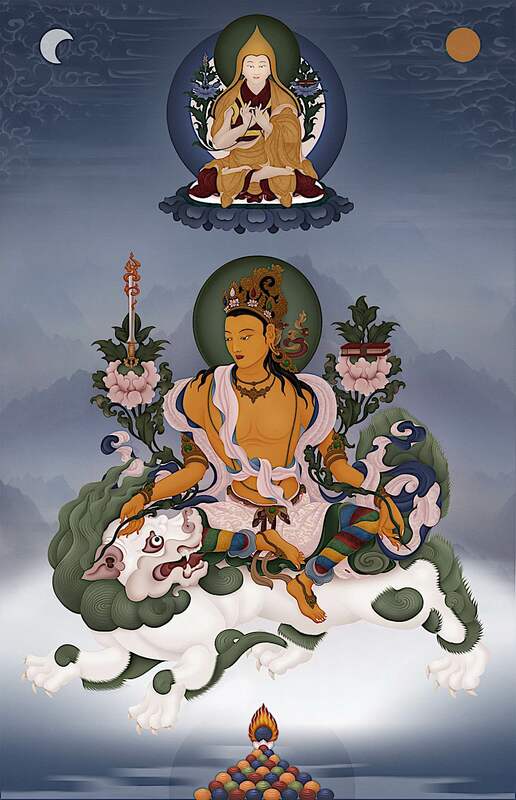 Also helpful are the four photos and fourteen illustrations meant to assist practice and visualization with deity thangkas, inner body maps (for Tantric Mahamudra) and yogic postures. This is a must read for Buddhists of the Gelug tradition, and a should read for many other Buddhists seeking insight into Shunyata (emptiness), or practicing Vipassana or Samatha. 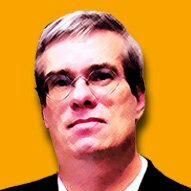 His answer will surprise many, and clarify for others what they already intuitively grasped. 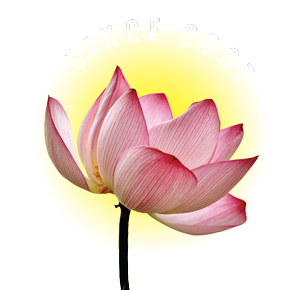 NOTE: The Sutra Mahamudra content is open for any student. Some of the advanced Tantric practices in the last chapter require initiation. 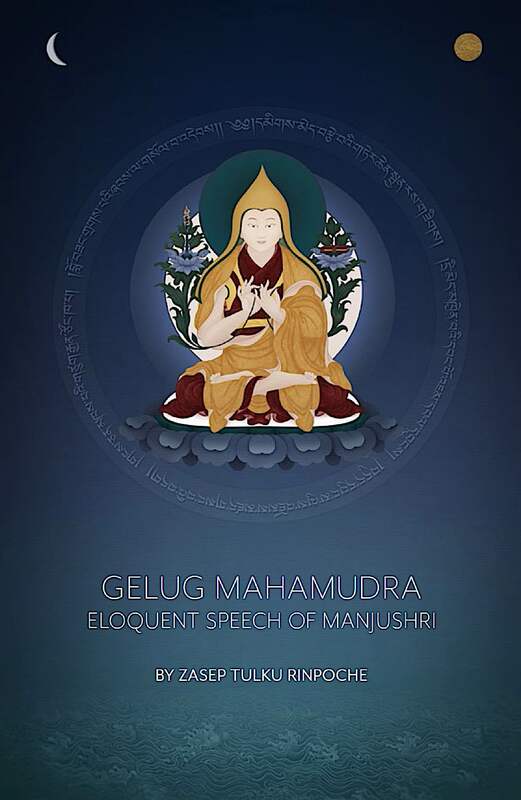 One of the beautiful illustrations by Ben Christian in the new book Gelug Mahamudra: Eloquent Speech of Manjushri. NOTE: The colour illustrations are only available in the first limited edition. The printed book, available on Amazon has the same illustrations in black and white. 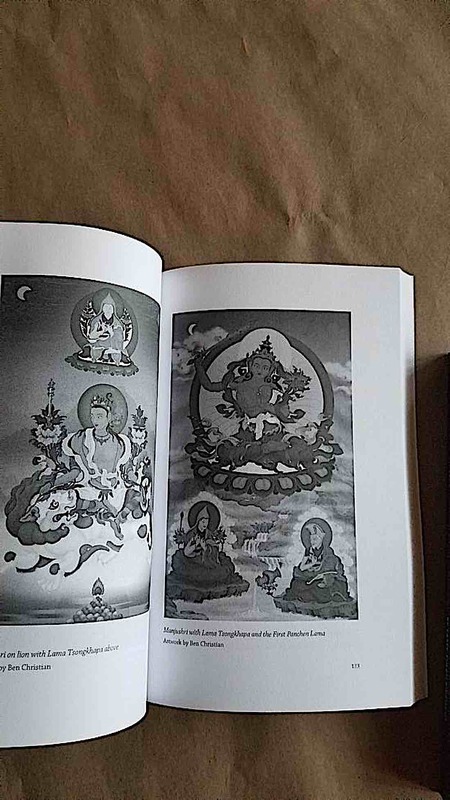 Inside spread of Gelug Mahamudra book. H.E. Zasep RInpoche. Photo by Gabriela Reyes Fuchs. From the book Gelug Mahamudra, Eloquent Speech of Manjushri. The essence is emptiness (of arising, ceasing or conceiving). Characteristic is the diverse appearances on the levels of Samsara and Nirvana. After commentary, Rinpoche gives concise and very clear how-to instructions for your Mahamudra meditation. There are many practical and insightful chapters in the book, including an amazing guided meditation on Vipassana Mahamudra. “Vipassana Mahamudra is essentially a meditation on emptiness and Shunyata. Without the realisation of Shunyata you cannot cut the root of Samsara. As I have mentioned before, Phagmo Drupa asked Gampopa what was the root of Samsara; the answer was ‘ordinary mind’. An extensive commentary, including a complete teaching on Shunyata (Emptiness), together with a guided meditation, make this chapter worth the price of the book. Rinpoche clarifies many points advanced students may have struggled with in their practices, particularly regarding visualization of the channels, meridians, chakras and winds. Gelug Mahamuda, Eloquent Speech of Manjushri, by Zasep Rinpoche, is highly recommended for any serious student of Vajrayana Buddhism. It is a must read for students of the Gelugpa tradition. For all Buddhists, generally, it’s a good read, especially the chapters on Samatha and Vipassana. 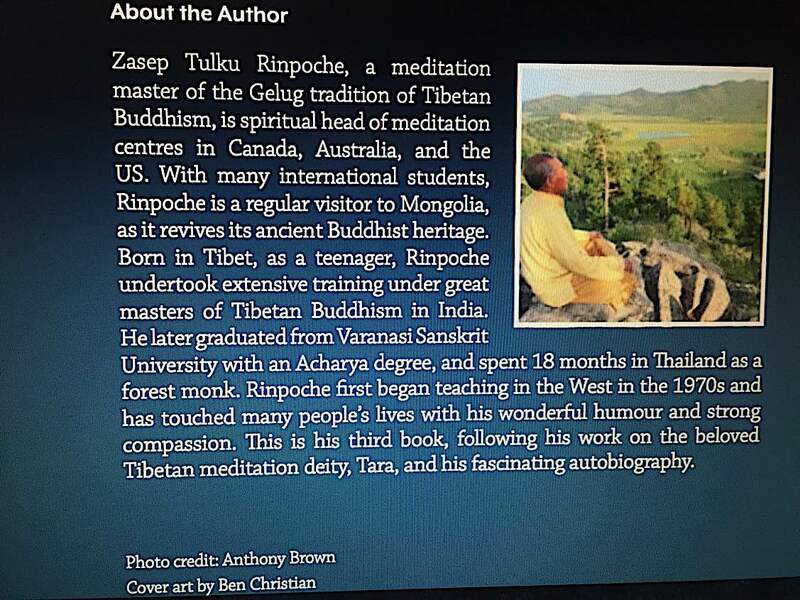 Back cover and blurb of Gelug Mahamudra, a book by Venerable Zasep Rinpoche. In the inset photo, Rinpoche is meditating on top of a cliff overlooking a lonely monastery in Mongolia. This is a rare opportunity to meet an eminent Tibetan Buddhist teacher. 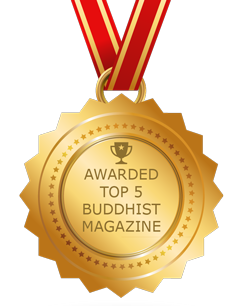 Venerable Zasep Tulku Rinpoche is a meditation master, and spiritual head of meditation centres in Canada, Australia and the US. With many international students, Rinpoche is a regular visitor to Mongolia as it revives its ancient Buddhist heritage. 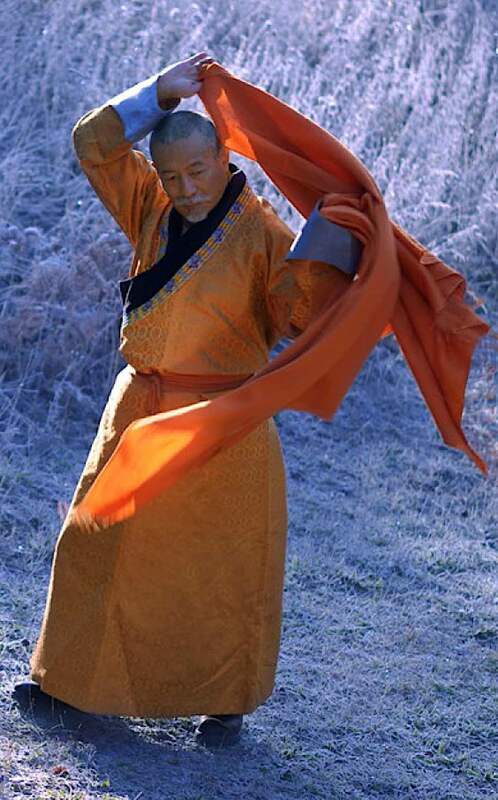 Born in Tibet, as a teenager, Rinpoche undertook extensive training under great masters of Tibetan Buddhism in Tibet. After graduating from Varanasi Sanskrit University with an Acharya degree, he spent 18 months in Thailand as a forest monk. Rinpoche first began teaching in the West in the 1970s and has touched many people’s lives with his wonderful humour and strong compassion. This is his third book, following his work on the beloved Tibetan Meditation deity, Tara, and his fascinating autobiography. Can Buddhism Continue to Flourish as the World’s Second Largest Spiritual Path as the Current Lineage Teachers Begin to Slow Down and Retire?